Visual Design Solutions is a resource for learning professionals seeking to raise the bar on their graphics and visual design skills. This informal and friendly book guides you through the process and principles used by professional graphic designers. It also presents creative solutions and examples that you can start using right away. 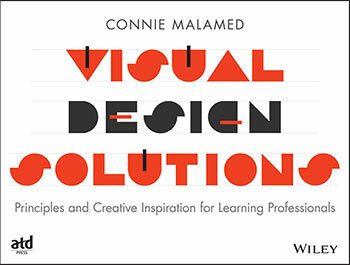 Anyone who envisions, designs, or creates instructional or informational graphics will benefit from the design strategies laid out in this comprehensive resource. 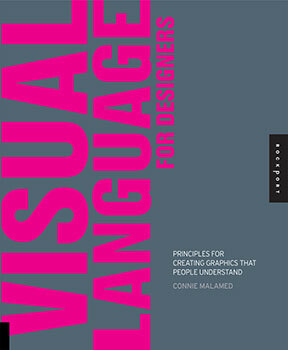 Visual Language For Designers shows visual communicators how to design graphics that are effective and comprehensible. It presents visual guidelines based on the cognitive science of how people perceive, process and understand pictures.